Keep track of your highest priorities easily in one place! Custom order your priorities by importance! 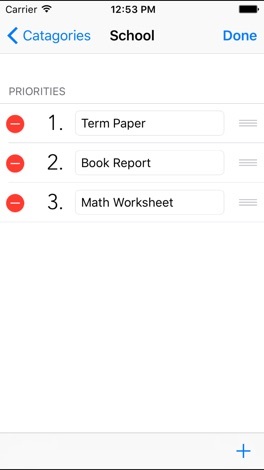 Organize your priorities by category, or view all of them together in order! Manage your Priorities more easily! 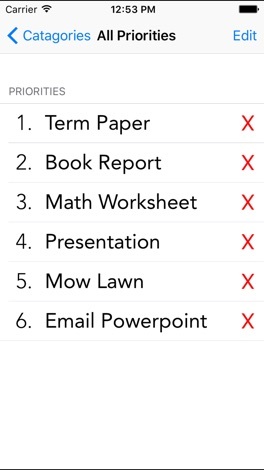 The clean, easy to use interface is perfect for anyone who needs to keep track of priorities. 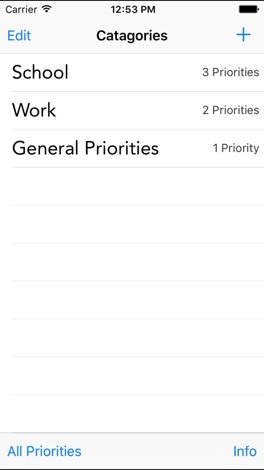 -Manage your Priorities by category! 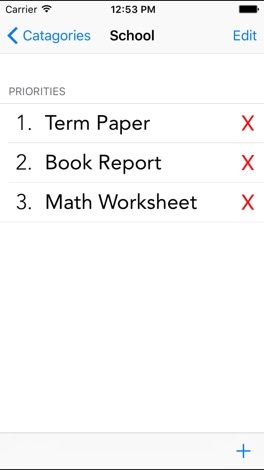 Priorities is the easiest and most efficient way to keep track of tasks, lists, projects, homework, and more!